An absolute bar basic, the name says it all: simple syrup. Made up of equal parts water and sugar, it’s cooked until the sugar is dissolved, and then cooled. Bartenders use it to sweeten drinks in place of regular sugar, which doesn’t dissolve well in the usually cold components. We use it to add a dash of sweetness to our Hemingway Daiquiri. If you’re like me and know a little something about volume and weight, “equal” parts trips me up. So, if you are a volume person, take an equal wet and dry measure of the ingredients: for every 8 oz of water, scoop out 1 dry cup of sugar. Because I was taught to be OCD, I prefer my scale whenever possible, so I would weigh out 8 oz of water and 8 oz of sugar. 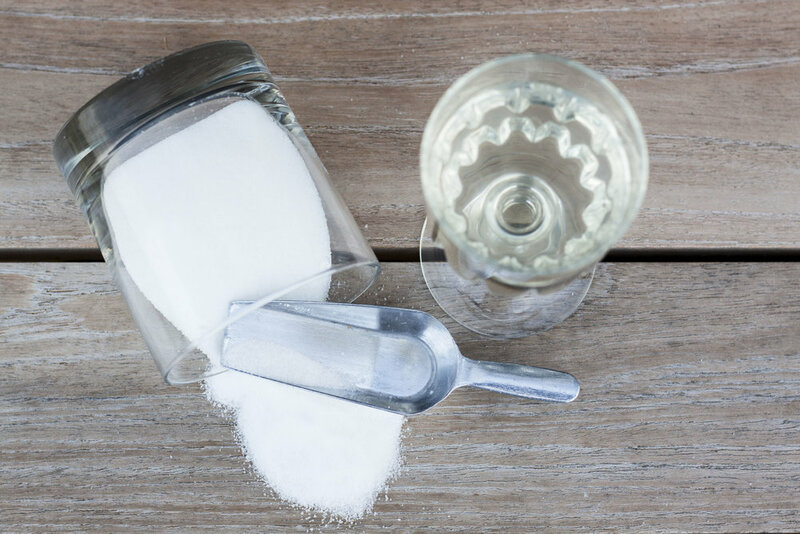 The difference in sweetness may be subtle, but there is a difference since a dry cup of sugar is actually closer to 7 ounces. Whichever method you use, as long as you are consistent, then your cocktails will be, too. Some bartenders make a “rich simple syrup,” which is just a 2:1 ratio, where there is twice the amount of sugar to water. The result is a sweeter and thicker product, which may be desired in some drinks, both for mouthfeel and more sweetness from less liquid. Simple syrups are also the base for any flavor you can imagine. If you wanted to steep an herb like rosemary or thyme, add the herb after the syrup comes off the fire. For most flavorings, start with steeping overnight and taste in the morning. In a pot, add the water in first, then sugar, and heat together until the sugar is dissolved. It doesn’t have to boil; a nice simmer will do. We are just looking for the sugar to be fully dissolved: time is irrelevant, because it’s all dependent on the amount of water, surface area, etc. Take a small spoonful out and after it’s cooled enough, touch it. If you don’t feel any grains, you’re good to go. Take it off the heat and cool before transferring to your storage vessel. It can be kept outside, but the fridge is safer, especially if you are flavoring it. It’s pretty stable, since it’s just sugar and water, so it’s easy enough to always have on hand, or make some on the fly.